Cupid is getting his arrows ready for the big day! Love will be in the air soon, so why not get ready with this fun free Printable Valentine’s Day Subway Art! There are two sizes to choose from! 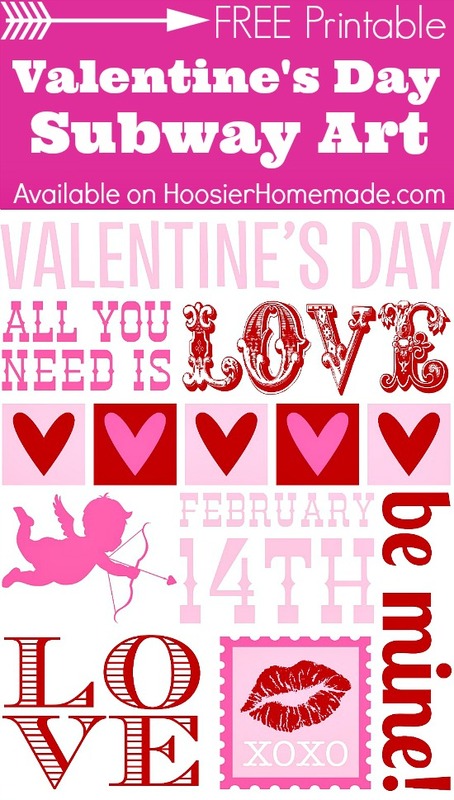 The Subway Art make a fun Valentine’s Day Decoration or even give it as a gift! A VERY special Thank You to Charlotte from The Paper Cupcake for designing the Valentine’s Day Subway Art! If you haven’t been over to her Etsy Shop lately, you MUST go! She has the best party printables ever! 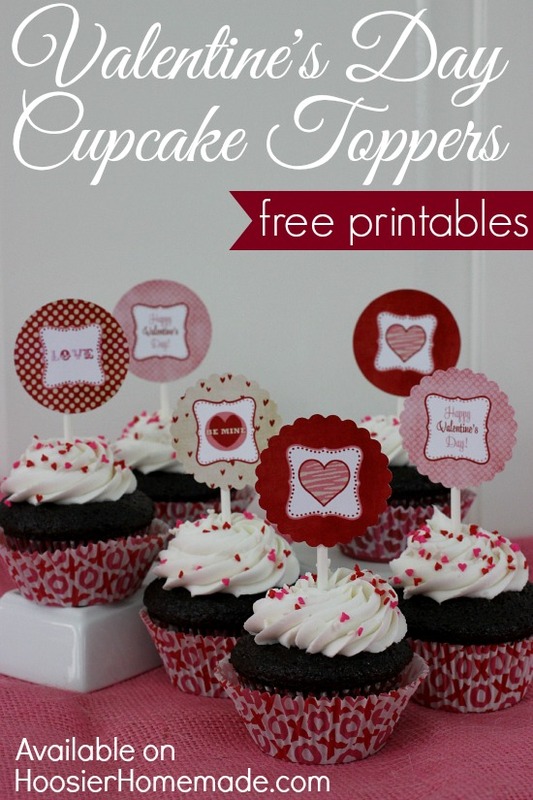 You will also find information for THREE different sets of Printable Valentine’s Day Cupcake Toppers!